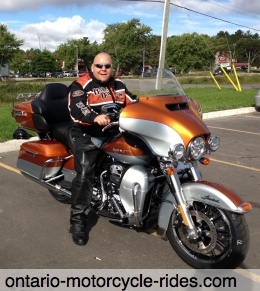 I am a Motorcycle Dad who Lives to Ride and cherishes his 3 daughters. ...AND MAKING A WEBSITE ABOUT IT! 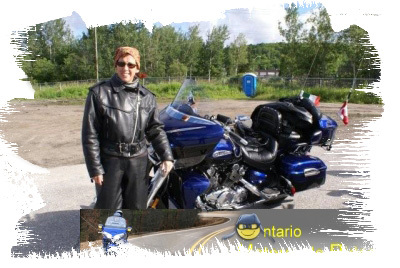 I am a Motorcycle dad who began riding Motorcycles in 2005. 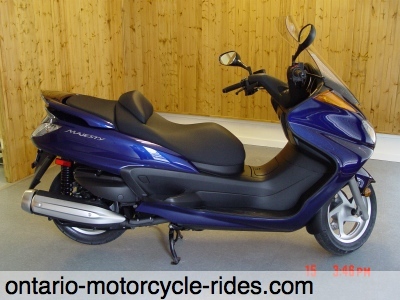 It all started when I bought a new 2005 Yamaha Majesty 400cc Scooter (yes I said Scooter) and from that 1st ride I fell in love with the feeling. 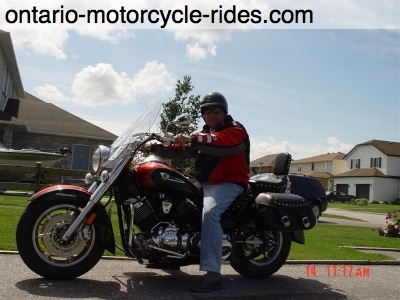 Since then I have purchased 4 new bikes in a very short period of time (big mistake, I know) and now riding a 2007 Yamaha Venture (RSV) Touring bike and I love it. 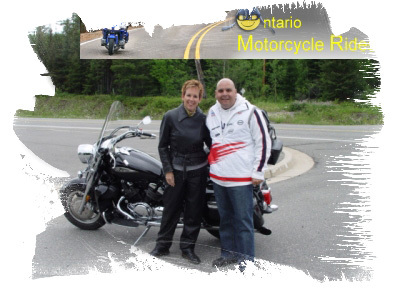 Update- now driving a 2008 Honda Goldwing - what a ride! Anyways have fun and ride safe. This Motorcycle Dad wants to raise his 3 kids and be there to watch them grow and prosper. Here are some of my past bikes. Here's a picture of the "Love of my Life" and Yes Guys... I'm referring to my wife....wink wink, nudge, nudge! When we are not riding we are busy raising 3 precious young teen girls who all rock at the game of Soccer. 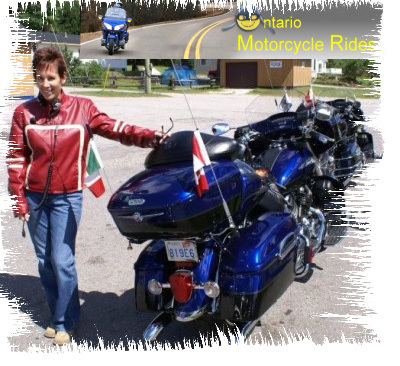 Ontario-Motorcycle-Rides, is more than about myself, it's also about my wife Julie who has been instrumental with this motorcycle dad Lifes Journey. Oh yeah, almost forgot, she also makes an incredible co-pilot always slapping the back of my helmet when I get lost. 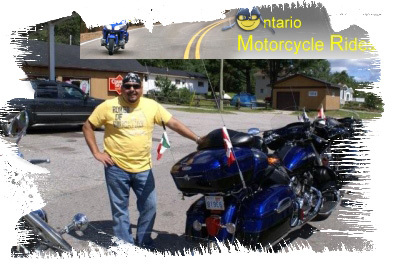 I live in North Bay Ontario Canada and one of my passions is Motorcycle Riding/Touring and Technology. I also thought there must be a way to make a living from my passions and this page will explain how! Make a living doing what you enjoy. Use your passion and make money from it. I will show you how using Site Build It! or SBI. This is how this website has been built. Here's a Video Tour of Site Build It and how it works. Then take a look at other successful SBI websites built by everyday people like you and me. All these sites are in the top 1% of the most successful sites on the internet today. You can build a website about anything and be profitable doing it. "So there I was half way around the world hanging out with my daughter on vacation and all of my websites kept percolating away on automatic pilot." "SBIers just "get it." They are too busy building their web business to worry about "how it all happens" and are full of enthusiasm and ideas. It's contagious to watch everyone working and moving ahead." "I recently resigned from that medical distribution company because it was obvious I didn't need them. The company was getting the benefit of all the sales generated from my SBI traffic." Your yearly subscription cost for SBI is $299 (USD) and that's it. There are no catches, no additional dollars required as this includes everything. And they have a rock solid "money back" guarantee...Don't like what you see....give it back! You can't and won't go wrong with SBI. I am so amazed at each and everyone of their VIDEO tutorials and all the additional tools you get to build your passion. It makes it easy to get started. Here's a link to their Video Action Guide that I think you will find very informative. It's alot of work as you need to build the content of your passion and get it online, but it is so rewarding to help others and provide the information/content people are searching for on the internet.